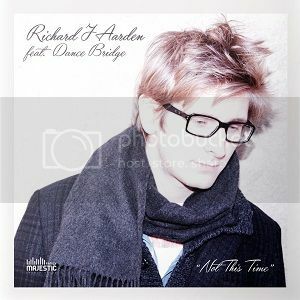 Majestic Family Records presents new release "Not This Time" from "Richard J Aarden" and "Dance Bridge"
Richard J Aarden is a Singer/Songwriter now based in Milan, Italy. After several years playing in AlternativeRock/Indie bands he started producing his own songs approaching to electronic music. At the moment he writes and produces his songs mixing his acoustic songwriting style with some light electronic elements. He also collaborate with Silk Music,Arrival and Majestic Family Records as a singer/songwriter.